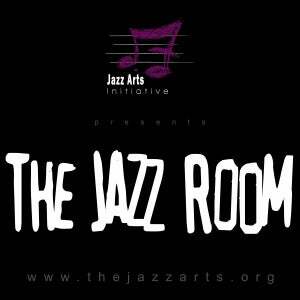 After much-acclaim and sold-out performances, Charlotte’s Jazz Arts Initiative’s (JAI) monthly series—The Jazz Room @ The Stage Door Theater – kicks off the 2018 new year with a special tribute by renowned pianist Chad Lawson to one of America’s most favorite composers, the great GEORGE GERSHWIN. The Stage Door Theater is part of Blumenthal Performing Arts Center, at the corner of 5th and College in Uptown Charlotte. American composer and pianist George Gershwin’s compositions spanned both popular and classical genres. Among his best-known works are the orchestral compositions Rhapsody in Blue (1924) and An American in Paris (1928) as well as the opera Porgy and Bess (1935). Gershwin composed Broadway theater works with his brother Ira Gershwin and Buddy DeSylva. He moved to Paris where he began to compose An American in Paris. Upon his return to New York, he wrote Porgy and Bess with Ira and the author DuBose Heyward. Initially a commercial failure, Porgy and Bess is now considered one of the most important American operas of the twentieth century. Gershwin moved to Hollywood and composed numerous film scores until his death in 1937. Gershwin's compositions have been adapted for use in many films and for television, and several became jazz standards recorded in many variations by celebrated singers and musicians. Pianist and composer Chad Lawson's career has explored a variety of musical genres that has had him topping the charts since the early 2010s. A graduate of Berklee College of Music, Lawson, a Steinway artist and composer, has been featured on CBS Sunday Morning, NPR's All Things Considered and the Performance Today. His release, The Chopin Variations, reached #1 on Billboard, iTunes and Amazon classical charts in 2015. He has since released Bach Interpreted and Dark Conclusions/The Lore Variations with great success. His music has been used for television’s The Walking Dead and The Vampire Diaries as well as Lore podcasts, Microsoft, Delta Airlines and many others. William Ackerman, Windham Hill's founder, took an interest in Lawson's music and helped launch his first solo album, Set on a Hill, in 2009. It marked a new direction for Lawson's career as five more solo projects appeared between 2011 and 2014.